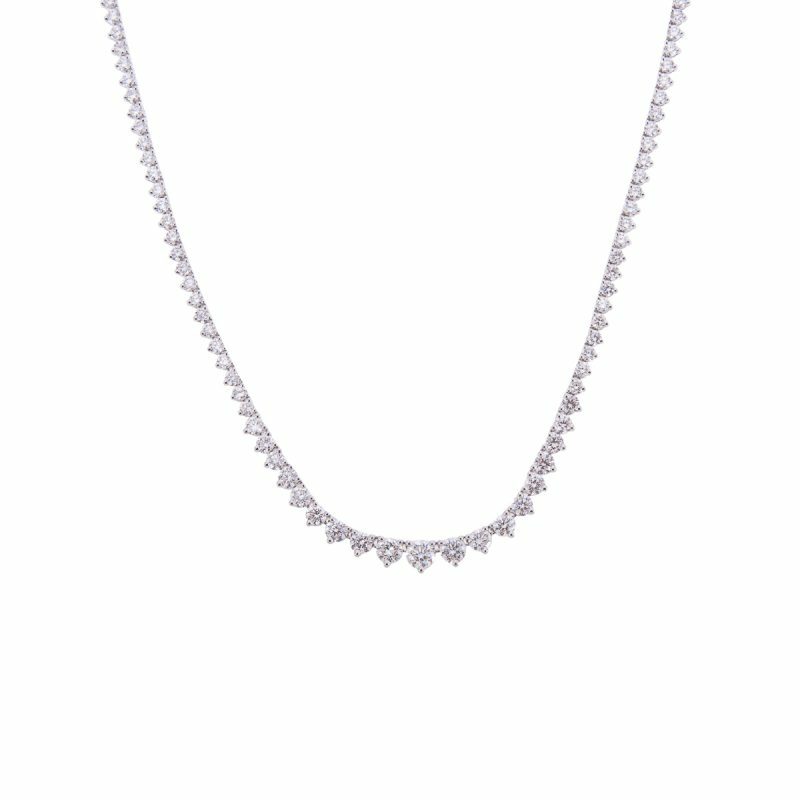 18ct white gold diamond 2 row necklet set. 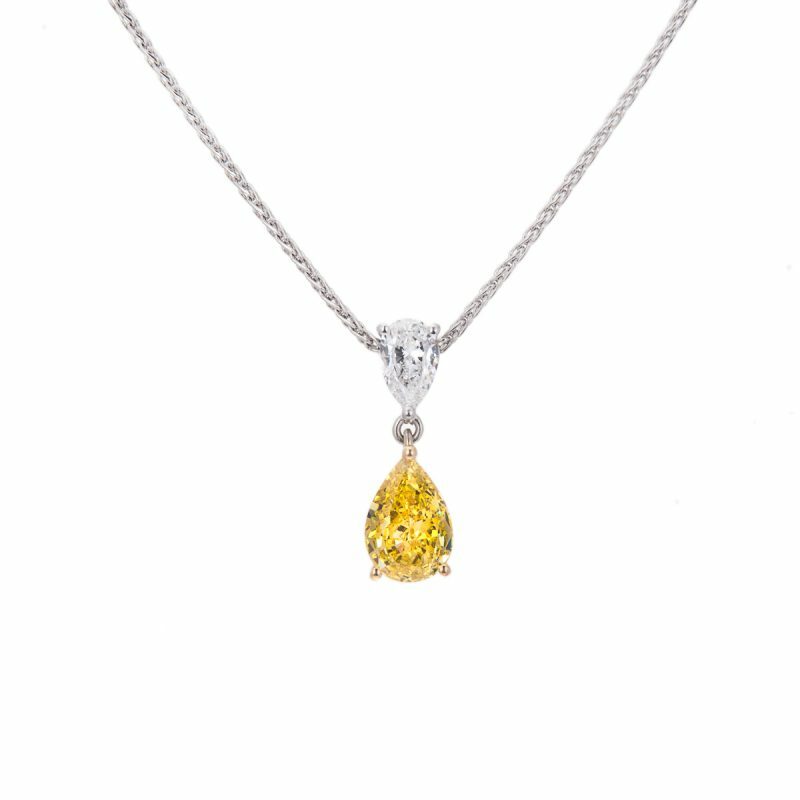 Two sparkling lines of rare white brilliant cut diamonds, culminating in the ultimate surprise with a central pear cut Natural Fancy Yellow diamond, with 2 supporting cushion cut yellow diamonds. 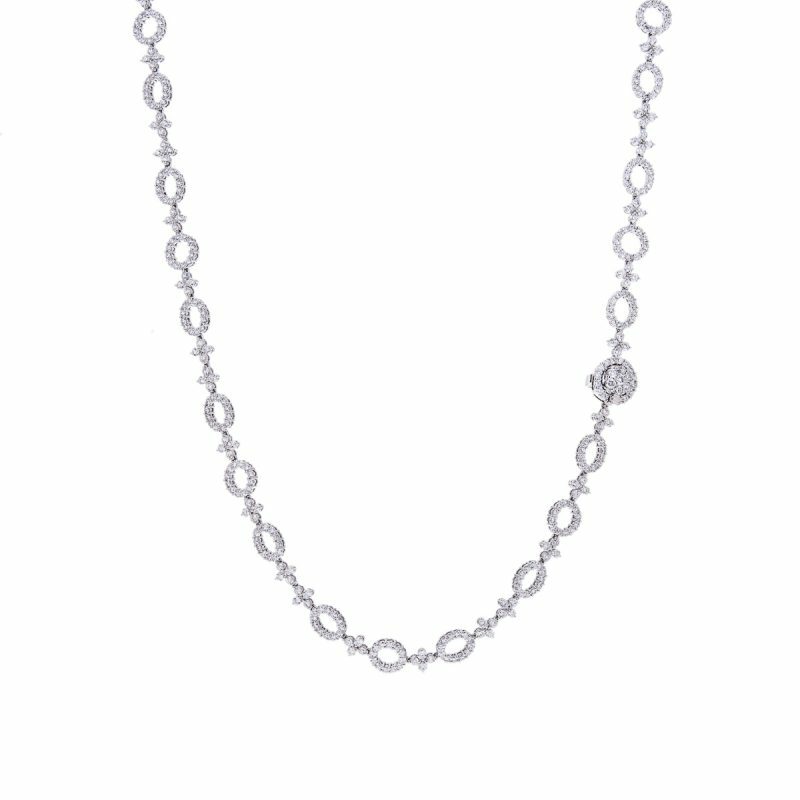 Each encased in a claw set halo of brilliant cut diamonds. 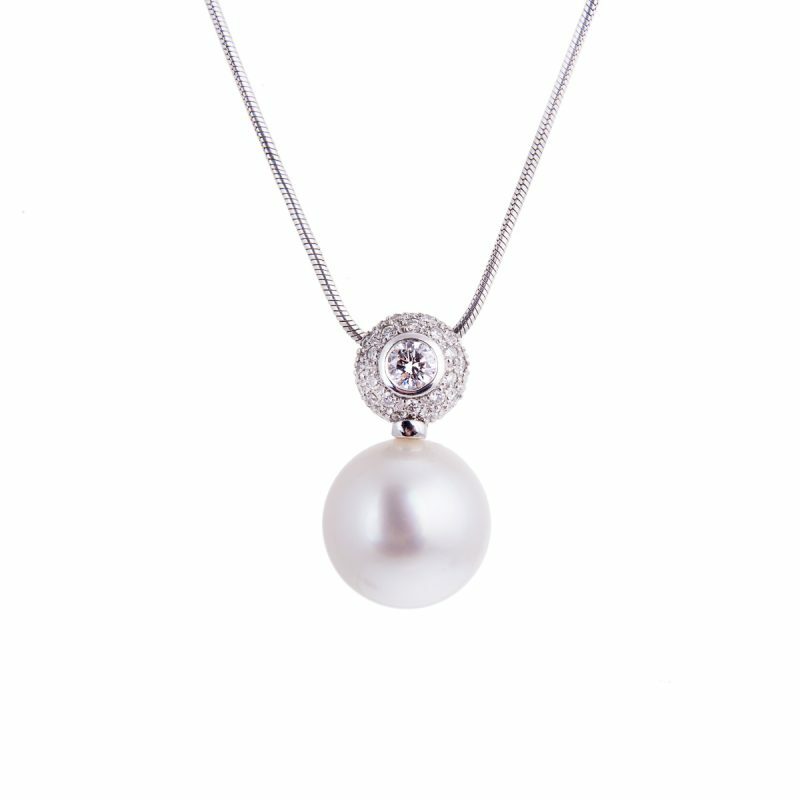 This treasure will lift its stylish owner above the admiring crowd. 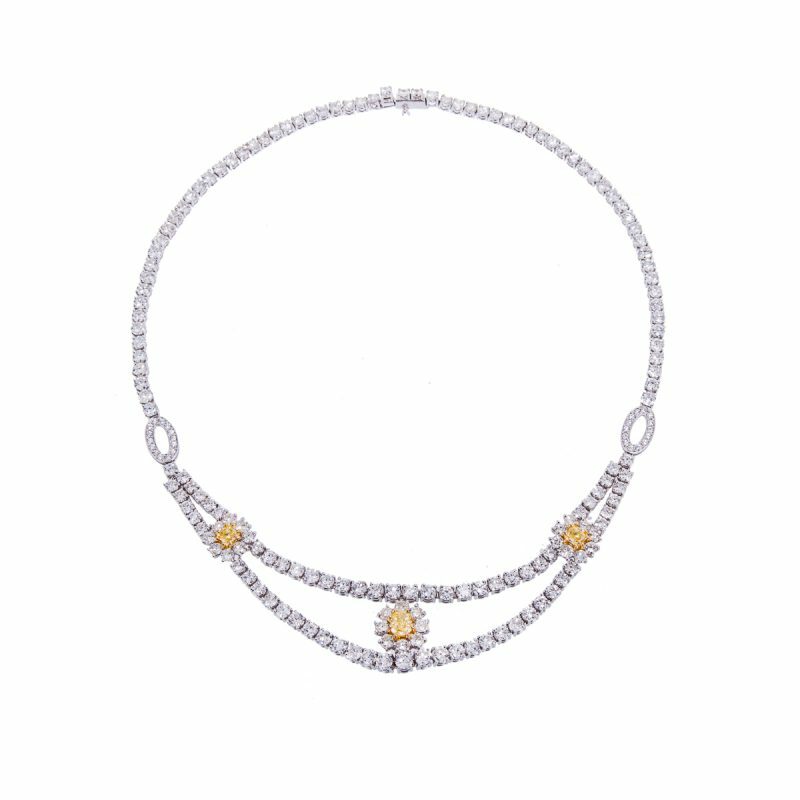 Mounted in an 18ct white gold claw setting to accentuate the rich colour of the Natural Fancy Yellow pear cut diamond.